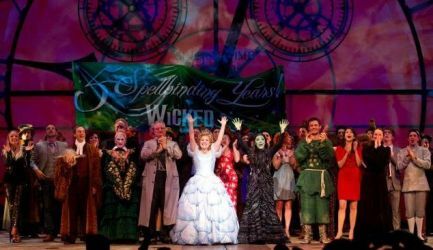 Wicked, the smash hit musical that tells the untold story of the Witches of Oz, just celebrated its landmark 5th birthday last week at London’s Apollo Victoria Theatre. Check out photos from the celebration, as posted on the show’s Faceook page, below! Buy Wicked Apollo Victoria Tickets Online. 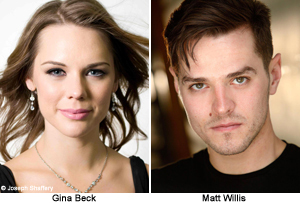 Gina Beck and Matt Willis are to join the London company of Wicked as Glinda and Fiyero, respectively, and Desmond Barrit is to return as the Wizard, beginning performances Dec. 12. The pair are joined in the cast by Lillie Flynn as Nessarose, Christopher Howell as Doctor Dillamond and Adam Pettigrew as Boq. Desmond Barrit, who first starred in Wicked in 2008, returns to the role of The Wizard. Rachel Tucker, who won this year’s Whatsonstage.com Award for Best Take Over in a Role will, as previously reported, remain in the role of Elphaba. Julie Legrand also stays on as Madame Morrible. Beck, who is currently appearing on the London stage in The Belle’s Stratagem at Southwark Playhouse, recently finished a two-year run starring as Christine Daaé in Andrew Lloyd Webber’s The Phantom of the Opera at London’s Her Majesty’s Theatre. She made her debut in 2006 as Cosette in Les Miserables and performed in the show’s 25th anniversary celebrations at The O2 last year. Matt Willis came to prominence as a member of the BRIT Award-winning band Busted and has subsequently appeared on I’m A Celebrity… Get Me Out of Here!. Trained at the Sylvia Young Theatre School, he made his West End debut in Flashdance and has recently appeared in the UK tour of Footloose. Barrit previously starred in Wicked in 2008/9. He recently played Falstaff in Henry IV Parts One and Two for peter Hall at the Bath Theatre Royal. Wicked has now played over 2000 performances and celebrates five years in the West End on 27 September 2011. The Broadway musical, which opened in London on 27 September 2006 (previews from 6 September), tells the “untold story” of the Witches of Oz – popular blonde Glinda, aka the Good Witch of the North, and her spin-victim friend Elphaba – who were both immortalised in the 1939 film classic The Wizard of Oz. The production is now booking through 27 October 2012 at the Apollo Victoria Theatre, Wilton Road, London, SW1V 1LG. Buy Wicked London, United Kingdom Tickets Online. Use Code AFF$10 to Get $10 OFF on Wicked Apollo Victoria Theatre Ticket Orders over $350! 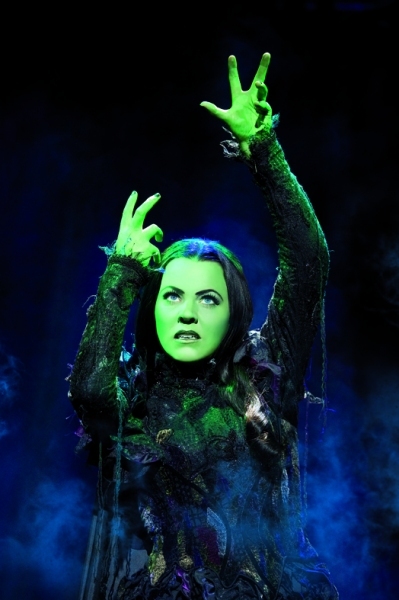 Wicked West End has announced that Rachel Tucker will continue in her starring role as Elphaba into 2012. Julie Legrand (Madame Morrible), Nikki Davis-Jones (Standby Elphaba) and Chloe Taylor (Standby Glinda) are also all continuing in their roles. UK Executive Producer Michael McCabe said: “Since first joining our cast in March 2010, Rachel has thrilled audiences and critics alike with her powerful and passionate performance as Elphaba. We are all absolutely thrilled that Rachel has now decided to continue leading the company with her extraordinary professionalism and great dedication to the role – we couldn’t be more proud of her success”. 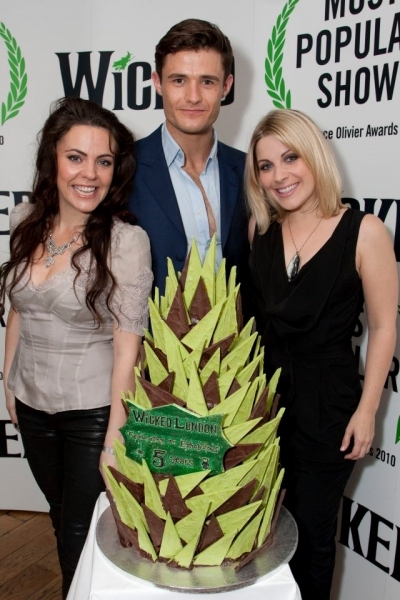 Louise Dearman (Glinda), Mark Evans (Fiyero), Clive Carter (The Wizard), Julian Forsyth (Dr Dillamond), Zoe Rainey (Nessarose) and Ben Stott (Boq) will all play their final performances on Saturday 10 December 2011. Wicked recently celebrated its landmark 2000th performance at the Apollo Victoria Theatre. This “hugely popular musical” (The Times) has now been seen by almost 4 million people and grossed in excess of £135 million at the UK Box Office since its West End premiere in 2006. The production is now booking through 27 October 2012 at the Apollo Victoria Theatre, Wilton Road, London, SW1V 1LG. 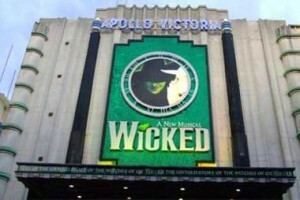 Buy Wicked Apollo Victoria Theatre Tickets Online. Use Code AFF$10 to Get $10 OFF on Wicked London, United Kingdom Ticket Orders over $350! West End musical Wicked is to head into its fifth year in London after announcing an extension to its booking period. Tickets for the show will now be available until October 29th 2011, which may be good news for those who have not yet managed to see it at the Apollo Victoria Theatre. Wicked opened at the Apollo Victoria theatre on 27 September 2006 and has since entertained millions of audience members with its dazzling costumes and addictive score. At this year’s Laurence Olivier Awards, the show was awarded the first ever Laurence Olivier Audience Award for Most Popular Show, which was voted for by over 58,000 Official London Theatre users. Wicked welcomed its three millionth visitor on August 4th 2010. Lee Mead, Louise Dearman and Rachel Tucker are currently among the cast members delighting audiences in the musical. Since 2006, the Wicked stage has been filled with dozens of musical stars including Idina Menzel – who transferred from the original Broadway cast to open the show in London – Helen Dallimore, Miriam Margolyes, Kerry Ellis, Alexia Khadime and Diane Pilkington. Buy your Wicked London GL Tickets now!